Now At Central Eyes: Tailor-Made Eyewear, Fitted To Your Unique Facial Features! Established in 2000 - and rated by various publications as "Number One in Westchester" - Central Eyes Optical is a truly unique optical boutique, conveniently located in Hartsdale on lower Westchester's main thoroughfare of Central Avenue, with free, easy, on-site parking. The Central Eyes environment - smartly designed, outstandingly comfortable and customer-sensitive, extraordinarily helpful, extremely kid-friendly - is overseen by Jeff Stark, a "legend" in the optical industry for his honesty, integrity and rarely-seen level of caring and service, laced with warmth and humor. Come in and ask us about your glasses. Most Glasses can be made or repaired much faster than you may expect. We offer comprehensive eye exams for adults and children, which are an invaluable tool in maintaining optimal vision. Browse our fabulous showroom and discover a definitive selection of frames, lenses, contact lenses, sunglassses and vision aids. Choosing the contacts that are right for you depends on your vision and comfort. Glasses do not have to cost $200! 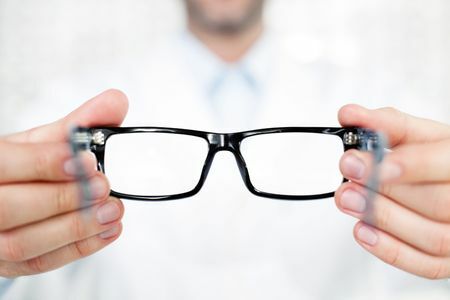 When buying glasses at your professional optical store, you can always count on quality service and customer care all at an affordable price!